It was time to replace our dog’s flea and tick collars and I was looking to see if there was anything new in the market. They have been wearing Seresto Flea and Tick Collars for a few years now, and was wondering if there was any new cutting edge innovations these days. I saw an advertisement for the Absorbine Ultra Shield Flea and Tick Collar and set out on a quest to find one. I like the Seresto Collar for several reasons. First, I can never remember to feed one treat, once a month to my dogs. I would rather do something once and forget about it until the next time, rather than continuously remember to feed treats. Second, I like the friction fit of the collars. They don’t have a buckle (like the Scalibor Flea Collar), snap, or other device that keeps the collar in a fixed position. This is a huge safety concern. While my dogs don’t go unattended, it is peaceful knowing that if they do get trapped by something, the collar will release, freeing them. The PetLock and Absorbine collars both have a similar design. I visited both of the large “big box” pet stores in the area and both had very prominent displays of the Seresto products, no other collars were available! I asked for assistance, and after some searching, an associate brought me the PetLock Flea and Tick Collar which I purchased. The Seresto collar was priced at $72.99. With the store rewards club membership discount of $10.95, the price paid was $62.94. For the PetLock collar, the price was $54.99. Had I done some research online, there is a $3.00 off coupon on the PetLock website. 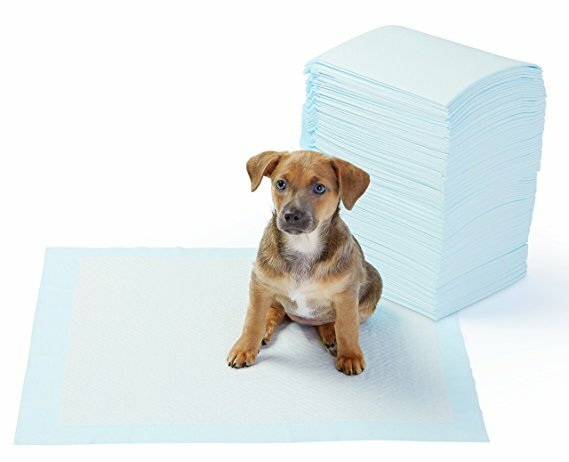 The Product Locator on the Absorbine website says they are available at a few smaller (and some independent) pet stores in my area. They are listed on Horse.com for approximately $19.99. At first glance, the most notable difference is the effective length of the collars. Seresto is effective up to eight months, and PetLock and Absorbine are both listed as effective for six months. The Seresto package includes: the collar, three snap-on reflectors, two reminder stickers to place on your calendar, and the product information brochure. The PetLock package includes: the collar, and the product information brochure. After thoroughly reading both of them, the Seresto brochure is mostly marketing and have several full-color pictures while the PetLock brochure focuses on the basics but both contain the requisite details. How to put on the collar, that they can be used in water (bathing, swimming), the active ingredients, company contact information. The reflectors in the Seresto package were a nice addition. I haven’t used them on the last two collar applications because I didn’t experience much of a benefit. The only dog regularly walked is a ShihTzu and his fur is too long to make the reflectors useful. Perhaps on a short-haired dog they would be more beneficial. Similarly, the calendar reminder stickers would be great for those who use paper calendars, but I use whiteboards and simply told my smartphone to set a reminder in 8 months to replace the collar. The collars are approximately 27 1/2 inches long. They are designed longer so they will wrap around and loop through the friction grips. The instructions tell you to apply the collar so that it will fit over the dogs head and can fit two fingers between the collar and the dogs neck. The remaining collar length can be snipped off with scissors. The PetLock instructions tell you to wrap the unused length in newspaper before discarding it. The Seresto collar (image below, right) is approximately twice as wide as the PetLock collar (image below, left). Both collars were designated by the manufacturer for Large Dogs. Both collars are coated in a white powder which is, presumably, a release agent from the mold the collars were cast in. It could also be a preservative to keep the collar flexible while in storage. The instructions say to wipe it away with a damp paper towel. The premise of the collars are that they contain a pesticide which is slowly released and moves over the coat, protecting against fleas and ticks. A Google search about the safety of these pesticides did not return any concerning study results. Both product brochures recommended thorough hand washing after applying the collars. Although, curiously, the European Seresto brochure said that pets wearing the collar should not sleep in the same bed as their owner, especially children, although that same message is not in the North American brochure. To wrap this review up, I like the sturdiness of the Seresto collar, the price of the Absorbine collar, the 8-month efficacy of the Seresto collars, and the peace of mind they all give me knowing that my dogs are safe from ticks and fleas for the summer. This entry was posted in grooming, review, safety on March 26, 2016 by dexterkelly. You should realy price shop at JeffersPet.com.